Last Post 7/4/2015 12:09 PM by Ron Miles. 0 Replies. Before Jones, before Bond, There was The Falcon! To a generation of fans, The Falcon is one of the first and most fondly remembered of all the action heroes—making his appearance in novels, two movie series, a long-running radio drama and a television show. 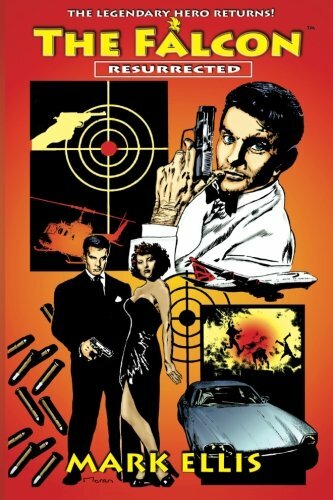 Now The Falcon returns in a new series by the modern master of action-adventure, Mark (James Axler) Ellis—writer of Doc Savage, The Wild, Wild West, The Man From U.N.C.L.E., Deathlands and creator of the best-selling Outlanders series! EVIL RESURRECTED The specter of the Third Reich casts a terrifying new shadow when the Brotherhood of The Black Sun resurrects a fanatical dream of world conquest. Ruled by a madman with delusions of godhood, the Brotherhood’s ruthless doctrine of mass human sacrifice by nuclear fire counts down to zero hour--but the self-styled Aryan demigod must first recover an ancient artifact that controls the destiny of mankind…and that artifact is in the hands of The Falcon. The Falcon has no choice but to walk into an escape-proof trap set by the very megalomaniac he must stop at any cost. Click for the new audio book edition, or here for the print edition.